When it comes to compact luxury SUVs, the new Mercedes-Benz GLC stands confidently at the forefront of the segment. Starting at only $41,150 MSRP*, the 2017 Mercedes-Benz GLC 300 brings together a balanced ride quality and available 4MATIC® all-wheel drive for great performance. In addition, the interior sports spacious seating for adults in the front and back, as well as a surprising degree of luxury materials and comforts for the money. Explore your options at Mercedes-Benz of El Dorado Hills, or contact us to find out more before your visit. Delivers 27 Highway MPG and 22 City MPG! This Mercedes-Benz GLC boasts a Intercooled Turbo Premium Unleaded I-4 2.0 L/121 engine powering this Automatic transmission. Window Grid Antenna, Wheels: 18 5-Spoke (R31), Valet Function. * This Mercedes-Benz GLC Features the Following Options *Urethane Gear Shift Knob, Turn-By-Turn Navigation Directions, Trunk/Hatch Auto-Latch, Trip Computer, Transmission: 9G-TRONIC 9-Speed Automatic -inc: DYNAMIC SELECT, Transmission w/TouchShift Sequential Shift Control w/Steering Wheel Controls, Tracker System, Towing Equipment -inc: Trailer Sway Control, Tires: P235/60R18 Run-Flat, Tire Specific Low Tire Pressure Warning. * Stop By Today *Stop by Mercedes Benz of El Dorado Hills located at 1000 Mercedes Lane, El Dorado Hills, CA 95762 for a quick visit and a great vehicle! *Golden Rule*We are a Golden Rule company dedicating ourselves to world-class customer service in an environment of trust, dignity, and fun. George Grinzewitsch, CEO and Owner, Von Housen Automotive Group For more than 60 years, Von Housen Automotive Group has delivered high-end luxury vehicles to discerning clients throughout the greater Sacramento area, and is the place more people trust for quality, service, and a large selection of Mercedes-Benz vehicles. Von Housen Automotive Group operates three Mercedes-Benz dealerships in Northern California, including Mercedes-Benz of Sacramento, Mercedes-Benz of Rocklin and Mercedes-Benz of El Dorado Hills. The group also owns Mercedes-Benz Sprinter dealerships in both Rocklin and Sacramento. Mercedes-Benz of North America Von Housen Automotive Group has more than 300 dedicated employees and sells approximately $301,000,000 in new and used vehicles, parts and service annually. The team is also a leader in supporting community, philanthropic and non-profit initiatives. Stop by Mercedes-Benz of El Dorado Hills to experience a wide selection of Mercedes-Benz luxury cars, presented by Northern California’s leading team of sales advisors. Reach us online, or give us a call.Delivers 27 Highway MPG and 22 City MPG! This Mercedes-Benz GLC boasts a Intercooled Turbo Premium Unleaded I-4 2.0 L/121 engine powering this Automatic transmission. Window Grid Antenna, Wheels: 18 5-Spoke (R31), Valet Function. * This Mercedes-Benz GLC Features the Following Options *Urethane Gear Shift Knob, Turn-By-Turn Navigation Directions, Trunk/Hatch Auto-Latch, Trip Computer, Transmission: 9G-TRONIC 9-Speed Automatic -inc: DYNAMIC SELECT, Transmission w/TouchShift Sequential Shift Control w/Steering Wheel Controls, Tracker System, Towing Equipment -inc: Trailer Sway Control, Tires: P235/60R18 Run-Flat, Tire Specific Low Tire Pressure Warning. * Stop By Today *Stop by Mercedes Benz of El Dorado Hills located at 1000 Mercedes Lane, El Dorado Hills, CA 95762 for a quick visit and a great vehicle! *Golden Rule*We are a Golden Rule company dedicating ourselves to world-class customer service in an environment of trust, dignity, and fun. George Grinzewitsch, CEO and Owner, Von Housen Automotive Group For more than 60 years, Von Housen Automotive Group has delivered high-end luxury vehicles to discerning clients throughout the greater Sacramento area, and is the place more people trust for quality, service, and a large selection of Mercedes-Benz vehicles. Von Housen Automotive Group operates three Mercedes-Benz dealerships in Northern California, including Mercedes-Benz of Sacramento, Mercedes-Benz of Rocklin and Mercedes-Benz of El Dorado Hills. The group also owns Mercedes-Benz Sprinter dealerships in both Rocklin and Sacramento. Mercedes-Benz of North America Von Housen Automotive Group has more than 300 dedicated employees and sells approximately $301,000,000 in new and used vehicles, parts and service annually. The team is also a leader in supporting community, philanthropic and non-profit initiatives. Stop by Mercedes-Benz of El Dorado Hills to experience a wide selection of Mercedes-Benz luxury cars, presented by Northern California’s leading team of sales advisors. Reach us online, or give us a call. Scores 27 Highway MPG and 22 City MPG! This Mercedes-Benz GLC boasts a Intercooled Turbo Premium Unleaded I-4 2.0 L/121 engine powering this Automatic transmission. Window Grid Antenna, Wheels: 18 5-Spoke (R31), Valet Function. *This Mercedes-Benz GLC Comes Equipped with These Options *Urethane Gear Shift Knob, Turn-By-Turn Navigation Directions, Trunk/Hatch Auto-Latch, Trip Computer, Transmission: 9G-TRONIC 9-Speed Automatic -inc: DYNAMIC SELECT, Transmission w/TouchShift Sequential Shift Control w/Steering Wheel Controls, Tracker System, Towing Equipment -inc: Trailer Sway Control, Tires: P235/60R18 Run-Flat, Tire Specific Low Tire Pressure Warning. * Stop By Today *For a must-own Mercedes-Benz GLC come see us at Mercedes Benz of El Dorado Hills, 1000 Mercedes Lane, El Dorado Hills, CA 95762. Just minutes away! *Golden Rule*We are a Golden Rule company dedicating ourselves to world-class customer service in an environment of trust, dignity, and fun. George Grinzewitsch, CEO and Owner, Von Housen Automotive Group For more than 60 years, Von Housen Automotive Group has delivered high-end luxury vehicles to discerning clients throughout the greater Sacramento area, and is the place more people trust for quality, service, and a large selection of Mercedes-Benz vehicles. Von Housen Automotive Group operates three Mercedes-Benz dealerships in Northern California, including Mercedes-Benz of Sacramento, Mercedes-Benz of Rocklin and Mercedes-Benz of El Dorado Hills. The group also owns Mercedes-Benz Sprinter dealerships in both Rocklin and Sacramento. Mercedes-Benz of North America Von Housen Automotive Group has more than 300 dedicated employees and sells approximately $301,000,000 in new and used vehicles, parts and service annually. The team is also a leader in supporting community, philanthropic and non-profit initiatives. Stop by Mercedes-Benz of El Dorado Hills to experience a wide selection of Mercedes-Benz luxury cars, presented by Northern California’s leading team of sales advisors. Reach us online, or give us a call.Scores 27 Highway MPG and 22 City MPG! This Mercedes-Benz GLC boasts a Intercooled Turbo Premium Unleaded I-4 2.0 L/121 engine powering this Automatic transmission. Window Grid Antenna, Wheels: 18 5-Spoke (R31), Valet Function. *This Mercedes-Benz GLC Comes Equipped with These Options *Urethane Gear Shift Knob, Turn-By-Turn Navigation Directions, Trunk/Hatch Auto-Latch, Trip Computer, Transmission: 9G-TRONIC 9-Speed Automatic -inc: DYNAMIC SELECT, Transmission w/TouchShift Sequential Shift Control w/Steering Wheel Controls, Tracker System, Towing Equipment -inc: Trailer Sway Control, Tires: P235/60R18 Run-Flat, Tire Specific Low Tire Pressure Warning. * Stop By Today *For a must-own Mercedes-Benz GLC come see us at Mercedes Benz of El Dorado Hills, 1000 Mercedes Lane, El Dorado Hills, CA 95762. Just minutes away! *Golden Rule*We are a Golden Rule company dedicating ourselves to world-class customer service in an environment of trust, dignity, and fun. George Grinzewitsch, CEO and Owner, Von Housen Automotive Group For more than 60 years, Von Housen Automotive Group has delivered high-end luxury vehicles to discerning clients throughout the greater Sacramento area, and is the place more people trust for quality, service, and a large selection of Mercedes-Benz vehicles. Von Housen Automotive Group operates three Mercedes-Benz dealerships in Northern California, including Mercedes-Benz of Sacramento, Mercedes-Benz of Rocklin and Mercedes-Benz of El Dorado Hills. The group also owns Mercedes-Benz Sprinter dealerships in both Rocklin and Sacramento. Mercedes-Benz of North America Von Housen Automotive Group has more than 300 dedicated employees and sells approximately $301,000,000 in new and used vehicles, parts and service annually. The team is also a leader in supporting community, philanthropic and non-profit initiatives. Stop by Mercedes-Benz of El Dorado Hills to experience a wide selection of Mercedes-Benz luxury cars, presented by Northern California’s leading team of sales advisors. Reach us online, or give us a call. Scores 27 Highway MPG and 22 City MPG! This Mercedes-Benz GLC delivers a Intercooled Turbo Premium Unleaded I-4 2.0 L/121 engine powering this Automatic transmission. Window Grid Antenna, Wheels: 18 5-Spoke (R31), Valet Function. * This Mercedes-Benz GLC Features the Following Options *Urethane Gear Shift Knob, Turn-By-Turn Navigation Directions, Trunk/Hatch Auto-Latch, Trip Computer, Transmission: 9G-TRONIC 9-Speed Automatic -inc: DYNAMIC SELECT, Transmission w/TouchShift Sequential Shift Control w/Steering Wheel Controls, Tracker System, Towing Equipment -inc: Trailer Sway Control, Tires: P235/60R18 Run-Flat, Tire Specific Low Tire Pressure Warning. * Stop By Today *Stop by Mercedes Benz of El Dorado Hills located at 1000 Mercedes Lane, El Dorado Hills, CA 95762 for a quick visit and a great vehicle! *Golden Rule*We are a Golden Rule company dedicating ourselves to world-class customer service in an environment of trust, dignity, and fun. George Grinzewitsch, CEO and Owner, Von Housen Automotive Group For more than 60 years, Von Housen Automotive Group has delivered high-end luxury vehicles to discerning clients throughout the greater Sacramento area, and is the place more people trust for quality, service, and a large selection of Mercedes-Benz vehicles. Von Housen Automotive Group operates three Mercedes-Benz dealerships in Northern California, including Mercedes-Benz of Sacramento, Mercedes-Benz of Rocklin and Mercedes-Benz of El Dorado Hills. The group also owns Mercedes-Benz Sprinter dealerships in both Rocklin and Sacramento. Mercedes-Benz of North America Von Housen Automotive Group has more than 300 dedicated employees and sells approximately $301,000,000 in new and used vehicles, parts and service annually. The team is also a leader in supporting community, philanthropic and non-profit initiatives. Stop by Mercedes-Benz of El Dorado Hills to experience a wide selection of Mercedes-Benz luxury cars, presented by Northern California’s leading team of sales advisors. Reach us online, or give us a call.Scores 27 Highway MPG and 22 City MPG! This Mercedes-Benz GLC delivers a Intercooled Turbo Premium Unleaded I-4 2.0 L/121 engine powering this Automatic transmission. Window Grid Antenna, Wheels: 18 5-Spoke (R31), Valet Function. * This Mercedes-Benz GLC Features the Following Options *Urethane Gear Shift Knob, Turn-By-Turn Navigation Directions, Trunk/Hatch Auto-Latch, Trip Computer, Transmission: 9G-TRONIC 9-Speed Automatic -inc: DYNAMIC SELECT, Transmission w/TouchShift Sequential Shift Control w/Steering Wheel Controls, Tracker System, Towing Equipment -inc: Trailer Sway Control, Tires: P235/60R18 Run-Flat, Tire Specific Low Tire Pressure Warning. * Stop By Today *Stop by Mercedes Benz of El Dorado Hills located at 1000 Mercedes Lane, El Dorado Hills, CA 95762 for a quick visit and a great vehicle! *Golden Rule*We are a Golden Rule company dedicating ourselves to world-class customer service in an environment of trust, dignity, and fun. George Grinzewitsch, CEO and Owner, Von Housen Automotive Group For more than 60 years, Von Housen Automotive Group has delivered high-end luxury vehicles to discerning clients throughout the greater Sacramento area, and is the place more people trust for quality, service, and a large selection of Mercedes-Benz vehicles. Von Housen Automotive Group operates three Mercedes-Benz dealerships in Northern California, including Mercedes-Benz of Sacramento, Mercedes-Benz of Rocklin and Mercedes-Benz of El Dorado Hills. The group also owns Mercedes-Benz Sprinter dealerships in both Rocklin and Sacramento. Mercedes-Benz of North America Von Housen Automotive Group has more than 300 dedicated employees and sells approximately $301,000,000 in new and used vehicles, parts and service annually. The team is also a leader in supporting community, philanthropic and non-profit initiatives. Stop by Mercedes-Benz of El Dorado Hills to experience a wide selection of Mercedes-Benz luxury cars, presented by Northern California’s leading team of sales advisors. Reach us online, or give us a call. Delivers 27 Highway MPG and 22 City MPG! This Mercedes-Benz GLC delivers a Intercooled Turbo Premium Unleaded I-4 2.0 L/121 engine powering this Automatic transmission. Window Grid Antenna, Wheels: 18 5-Spoke (R31), Valet Function. *This Mercedes-Benz GLC Comes Equipped with These Options *Urethane Gear Shift Knob, Turn-By-Turn Navigation Directions, Trunk/Hatch Auto-Latch, Trip Computer, Transmission: 9G-TRONIC 9-Speed Automatic -inc: DYNAMIC SELECT, Transmission w/TouchShift Sequential Shift Control w/Steering Wheel Controls, Tracker System, Towing Equipment -inc: Trailer Sway Control, Tires: P235/60R18 Run-Flat, Tire Specific Low Tire Pressure Warning. * Stop By Today *Stop by Mercedes Benz of El Dorado Hills located at 1000 Mercedes Lane, El Dorado Hills, CA 95762 for a quick visit and a great vehicle! *Golden Rule*We are a Golden Rule company dedicating ourselves to world-class customer service in an environment of trust, dignity, and fun. George Grinzewitsch, CEO and Owner, Von Housen Automotive Group For more than 60 years, Von Housen Automotive Group has delivered high-end luxury vehicles to discerning clients throughout the greater Sacramento area, and is the place more people trust for quality, service, and a large selection of Mercedes-Benz vehicles. Von Housen Automotive Group operates three Mercedes-Benz dealerships in Northern California, including Mercedes-Benz of Sacramento, Mercedes-Benz of Rocklin and Mercedes-Benz of El Dorado Hills. The group also owns Mercedes-Benz Sprinter dealerships in both Rocklin and Sacramento. Mercedes-Benz of North America Von Housen Automotive Group has more than 300 dedicated employees and sells approximately $301,000,000 in new and used vehicles, parts and service annually. The team is also a leader in supporting community, philanthropic and non-profit initiatives. Stop by Mercedes-Benz of El Dorado Hills to experience a wide selection of Mercedes-Benz luxury cars, presented by Northern California’s leading team of sales advisors. Reach us online, or give us a call.Delivers 27 Highway MPG and 22 City MPG! This Mercedes-Benz GLC delivers a Intercooled Turbo Premium Unleaded I-4 2.0 L/121 engine powering this Automatic transmission. Window Grid Antenna, Wheels: 18 5-Spoke (R31), Valet Function. *This Mercedes-Benz GLC Comes Equipped with These Options *Urethane Gear Shift Knob, Turn-By-Turn Navigation Directions, Trunk/Hatch Auto-Latch, Trip Computer, Transmission: 9G-TRONIC 9-Speed Automatic -inc: DYNAMIC SELECT, Transmission w/TouchShift Sequential Shift Control w/Steering Wheel Controls, Tracker System, Towing Equipment -inc: Trailer Sway Control, Tires: P235/60R18 Run-Flat, Tire Specific Low Tire Pressure Warning. * Stop By Today *Stop by Mercedes Benz of El Dorado Hills located at 1000 Mercedes Lane, El Dorado Hills, CA 95762 for a quick visit and a great vehicle! *Golden Rule*We are a Golden Rule company dedicating ourselves to world-class customer service in an environment of trust, dignity, and fun. George Grinzewitsch, CEO and Owner, Von Housen Automotive Group For more than 60 years, Von Housen Automotive Group has delivered high-end luxury vehicles to discerning clients throughout the greater Sacramento area, and is the place more people trust for quality, service, and a large selection of Mercedes-Benz vehicles. Von Housen Automotive Group operates three Mercedes-Benz dealerships in Northern California, including Mercedes-Benz of Sacramento, Mercedes-Benz of Rocklin and Mercedes-Benz of El Dorado Hills. The group also owns Mercedes-Benz Sprinter dealerships in both Rocklin and Sacramento. Mercedes-Benz of North America Von Housen Automotive Group has more than 300 dedicated employees and sells approximately $301,000,000 in new and used vehicles, parts and service annually. The team is also a leader in supporting community, philanthropic and non-profit initiatives. Stop by Mercedes-Benz of El Dorado Hills to experience a wide selection of Mercedes-Benz luxury cars, presented by Northern California’s leading team of sales advisors. Reach us online, or give us a call. Boasts 27 Highway MPG and 22 City MPG! This Mercedes-Benz GLC boasts a Intercooled Turbo Premium Unleaded I-4 2.0 L/121 engine powering this Automatic transmission. Window Grid Antenna, Wheels: 18 5-Spoke (R31), Valet Function. * This Mercedes-Benz GLC Features the Following Options *Urethane Gear Shift Knob, Turn-By-Turn Navigation Directions, Trunk/Hatch Auto-Latch, Trip Computer, Transmission: 9G-TRONIC 9-Speed Automatic -inc: DYNAMIC SELECT, Transmission w/TouchShift Sequential Shift Control w/Steering Wheel Controls, Tracker System, Towing Equipment -inc: Trailer Sway Control, Tires: P235/60R18 Run-Flat, Tire Specific Low Tire Pressure Warning. * Visit Us Today *Test drive this must-see, must-drive, must-own beauty today at Mercedes Benz of El Dorado Hills, 1000 Mercedes Lane, El Dorado Hills, CA 95762. *Golden Rule*We are a Golden Rule company dedicating ourselves to world-class customer service in an environment of trust, dignity, and fun. George Grinzewitsch, CEO and Owner, Von Housen Automotive Group For more than 60 years, Von Housen Automotive Group has delivered high-end luxury vehicles to discerning clients throughout the greater Sacramento area, and is the place more people trust for quality, service, and a large selection of Mercedes-Benz vehicles. Von Housen Automotive Group operates three Mercedes-Benz dealerships in Northern California, including Mercedes-Benz of Sacramento, Mercedes-Benz of Rocklin and Mercedes-Benz of El Dorado Hills. The group also owns Mercedes-Benz Sprinter dealerships in both Rocklin and Sacramento. Mercedes-Benz of North America Von Housen Automotive Group has more than 300 dedicated employees and sells approximately $301,000,000 in new and used vehicles, parts and service annually. The team is also a leader in supporting community, philanthropic and non-profit initiatives. Stop by Mercedes-Benz of El Dorado Hills to experience a wide selection of Mercedes-Benz luxury cars, presented by Northern California’s leading team of sales advisors. Reach us online, or give us a call.Boasts 27 Highway MPG and 22 City MPG! This Mercedes-Benz GLC boasts a Intercooled Turbo Premium Unleaded I-4 2.0 L/121 engine powering this Automatic transmission. Window Grid Antenna, Wheels: 18 5-Spoke (R31), Valet Function. * This Mercedes-Benz GLC Features the Following Options *Urethane Gear Shift Knob, Turn-By-Turn Navigation Directions, Trunk/Hatch Auto-Latch, Trip Computer, Transmission: 9G-TRONIC 9-Speed Automatic -inc: DYNAMIC SELECT, Transmission w/TouchShift Sequential Shift Control w/Steering Wheel Controls, Tracker System, Towing Equipment -inc: Trailer Sway Control, Tires: P235/60R18 Run-Flat, Tire Specific Low Tire Pressure Warning. * Visit Us Today *Test drive this must-see, must-drive, must-own beauty today at Mercedes Benz of El Dorado Hills, 1000 Mercedes Lane, El Dorado Hills, CA 95762. *Golden Rule*We are a Golden Rule company dedicating ourselves to world-class customer service in an environment of trust, dignity, and fun. George Grinzewitsch, CEO and Owner, Von Housen Automotive Group For more than 60 years, Von Housen Automotive Group has delivered high-end luxury vehicles to discerning clients throughout the greater Sacramento area, and is the place more people trust for quality, service, and a large selection of Mercedes-Benz vehicles. Von Housen Automotive Group operates three Mercedes-Benz dealerships in Northern California, including Mercedes-Benz of Sacramento, Mercedes-Benz of Rocklin and Mercedes-Benz of El Dorado Hills. The group also owns Mercedes-Benz Sprinter dealerships in both Rocklin and Sacramento. Mercedes-Benz of North America Von Housen Automotive Group has more than 300 dedicated employees and sells approximately $301,000,000 in new and used vehicles, parts and service annually. The team is also a leader in supporting community, philanthropic and non-profit initiatives. Stop by Mercedes-Benz of El Dorado Hills to experience a wide selection of Mercedes-Benz luxury cars, presented by Northern California’s leading team of sales advisors. Reach us online, or give us a call. Delivers 27 Highway MPG and 22 City MPG! This Mercedes-Benz GLC delivers a Intercooled Turbo Premium Unleaded I-4 2.0 L/121 engine powering this Automatic transmission. Window Grid Antenna, Wheels: 18 5-Spoke (R31), Valet Function. * This Mercedes-Benz GLC Features the Following Options *Urethane Gear Shift Knob, Turn-By-Turn Navigation Directions, Trunk/Hatch Auto-Latch, Trip Computer, Transmission: 9G-TRONIC 9-Speed Automatic -inc: DYNAMIC SELECT, Transmission w/TouchShift Sequential Shift Control w/Steering Wheel Controls, Tracker System, Towing Equipment -inc: Trailer Sway Control, Tires: P235/60R18 Run-Flat, Tire Specific Low Tire Pressure Warning. * Visit Us Today *Stop by Mercedes Benz of El Dorado Hills located at 1000 Mercedes Lane, El Dorado Hills, CA 95762 for a quick visit and a great vehicle! *Golden Rule*We are a Golden Rule company dedicating ourselves to world-class customer service in an environment of trust, dignity, and fun. George Grinzewitsch, CEO and Owner, Von Housen Automotive Group For more than 60 years, Von Housen Automotive Group has delivered high-end luxury vehicles to discerning clients throughout the greater Sacramento area, and is the place more people trust for quality, service, and a large selection of Mercedes-Benz vehicles. Von Housen Automotive Group operates three Mercedes-Benz dealerships in Northern California, including Mercedes-Benz of Sacramento, Mercedes-Benz of Rocklin and Mercedes-Benz of El Dorado Hills. The group also owns Mercedes-Benz Sprinter dealerships in both Rocklin and Sacramento. Mercedes-Benz of North America Von Housen Automotive Group has more than 300 dedicated employees and sells approximately $301,000,000 in new and used vehicles, parts and service annually. The team is also a leader in supporting community, philanthropic and non-profit initiatives. Stop by Mercedes-Benz of El Dorado Hills to experience a wide selection of Mercedes-Benz luxury cars, presented by Northern California’s leading team of sales advisors. Reach us online, or give us a call.Delivers 27 Highway MPG and 22 City MPG! This Mercedes-Benz GLC delivers a Intercooled Turbo Premium Unleaded I-4 2.0 L/121 engine powering this Automatic transmission. Window Grid Antenna, Wheels: 18 5-Spoke (R31), Valet Function. * This Mercedes-Benz GLC Features the Following Options *Urethane Gear Shift Knob, Turn-By-Turn Navigation Directions, Trunk/Hatch Auto-Latch, Trip Computer, Transmission: 9G-TRONIC 9-Speed Automatic -inc: DYNAMIC SELECT, Transmission w/TouchShift Sequential Shift Control w/Steering Wheel Controls, Tracker System, Towing Equipment -inc: Trailer Sway Control, Tires: P235/60R18 Run-Flat, Tire Specific Low Tire Pressure Warning. * Visit Us Today *Stop by Mercedes Benz of El Dorado Hills located at 1000 Mercedes Lane, El Dorado Hills, CA 95762 for a quick visit and a great vehicle! *Golden Rule*We are a Golden Rule company dedicating ourselves to world-class customer service in an environment of trust, dignity, and fun. George Grinzewitsch, CEO and Owner, Von Housen Automotive Group For more than 60 years, Von Housen Automotive Group has delivered high-end luxury vehicles to discerning clients throughout the greater Sacramento area, and is the place more people trust for quality, service, and a large selection of Mercedes-Benz vehicles. Von Housen Automotive Group operates three Mercedes-Benz dealerships in Northern California, including Mercedes-Benz of Sacramento, Mercedes-Benz of Rocklin and Mercedes-Benz of El Dorado Hills. The group also owns Mercedes-Benz Sprinter dealerships in both Rocklin and Sacramento. Mercedes-Benz of North America Von Housen Automotive Group has more than 300 dedicated employees and sells approximately $301,000,000 in new and used vehicles, parts and service annually. The team is also a leader in supporting community, philanthropic and non-profit initiatives. Stop by Mercedes-Benz of El Dorado Hills to experience a wide selection of Mercedes-Benz luxury cars, presented by Northern California’s leading team of sales advisors. Reach us online, or give us a call. Delivers 27 Highway MPG and 22 City MPG! This Mercedes-Benz GLC boasts a Intercooled Turbo Premium Unleaded I-4 2.0 L/121 engine powering this Automatic transmission. Window Grid Antenna, Wheels: 18 5-Spoke (R31), Valet Function. *This Mercedes-Benz GLC Comes Equipped with These Options *Urethane Gear Shift Knob, Turn-By-Turn Navigation Directions, Trunk/Hatch Auto-Latch, Trip Computer, Transmission: 9G-TRONIC 9-Speed Automatic -inc: DYNAMIC SELECT, Transmission w/TouchShift Sequential Shift Control w/Steering Wheel Controls, Tracker System, Towing Equipment -inc: Trailer Sway Control, Tires: P235/60R18 Run-Flat, Tire Specific Low Tire Pressure Warning. * Stop By Today *Treat yourself- stop by Mercedes Benz of El Dorado Hills located at 1000 Mercedes Lane, El Dorado Hills, CA 95762 to make this car yours today! *Golden Rule*We are a Golden Rule company dedicating ourselves to world-class customer service in an environment of trust, dignity, and fun. George Grinzewitsch, CEO and Owner, Von Housen Automotive Group For more than 60 years, Von Housen Automotive Group has delivered high-end luxury vehicles to discerning clients throughout the greater Sacramento area, and is the place more people trust for quality, service, and a large selection of Mercedes-Benz vehicles. Von Housen Automotive Group operates three Mercedes-Benz dealerships in Northern California, including Mercedes-Benz of Sacramento, Mercedes-Benz of Rocklin and Mercedes-Benz of El Dorado Hills. The group also owns Mercedes-Benz Sprinter dealerships in both Rocklin and Sacramento. Mercedes-Benz of North America Von Housen Automotive Group has more than 300 dedicated employees and sells approximately $301,000,000 in new and used vehicles, parts and service annually. The team is also a leader in supporting community, philanthropic and non-profit initiatives. Stop by Mercedes-Benz of El Dorado Hills to experience a wide selection of Mercedes-Benz luxury cars, presented by Northern California’s leading team of sales advisors. Reach us online, or give us a call.Delivers 27 Highway MPG and 22 City MPG! This Mercedes-Benz GLC boasts a Intercooled Turbo Premium Unleaded I-4 2.0 L/121 engine powering this Automatic transmission. Window Grid Antenna, Wheels: 18 5-Spoke (R31), Valet Function. *This Mercedes-Benz GLC Comes Equipped with These Options *Urethane Gear Shift Knob, Turn-By-Turn Navigation Directions, Trunk/Hatch Auto-Latch, Trip Computer, Transmission: 9G-TRONIC 9-Speed Automatic -inc: DYNAMIC SELECT, Transmission w/TouchShift Sequential Shift Control w/Steering Wheel Controls, Tracker System, Towing Equipment -inc: Trailer Sway Control, Tires: P235/60R18 Run-Flat, Tire Specific Low Tire Pressure Warning. * Stop By Today *Treat yourself- stop by Mercedes Benz of El Dorado Hills located at 1000 Mercedes Lane, El Dorado Hills, CA 95762 to make this car yours today! *Golden Rule*We are a Golden Rule company dedicating ourselves to world-class customer service in an environment of trust, dignity, and fun. George Grinzewitsch, CEO and Owner, Von Housen Automotive Group For more than 60 years, Von Housen Automotive Group has delivered high-end luxury vehicles to discerning clients throughout the greater Sacramento area, and is the place more people trust for quality, service, and a large selection of Mercedes-Benz vehicles. Von Housen Automotive Group operates three Mercedes-Benz dealerships in Northern California, including Mercedes-Benz of Sacramento, Mercedes-Benz of Rocklin and Mercedes-Benz of El Dorado Hills. The group also owns Mercedes-Benz Sprinter dealerships in both Rocklin and Sacramento. Mercedes-Benz of North America Von Housen Automotive Group has more than 300 dedicated employees and sells approximately $301,000,000 in new and used vehicles, parts and service annually. The team is also a leader in supporting community, philanthropic and non-profit initiatives. Stop by Mercedes-Benz of El Dorado Hills to experience a wide selection of Mercedes-Benz luxury cars, presented by Northern California’s leading team of sales advisors. Reach us online, or give us a call. Delivers 27 Highway MPG and 22 City MPG! This Mercedes-Benz GLC boasts a Intercooled Turbo Premium Unleaded I-4 2.0 L/121 engine powering this Automatic transmission. Window Grid Antenna, Wheels: 18 5-Spoke (R31), Valet Function. *This Mercedes-Benz GLC Comes Equipped with These Options *Urethane Gear Shift Knob, Turn-By-Turn Navigation Directions, Trunk/Hatch Auto-Latch, Trip Computer, Transmission: 9G-TRONIC 9-Speed Automatic -inc: DYNAMIC SELECT, Transmission w/TouchShift Sequential Shift Control w/Steering Wheel Controls, Tracker System, Towing Equipment -inc: Trailer Sway Control, Tires: P235/60R18 Run-Flat, Tire Specific Low Tire Pressure Warning. * Visit Us Today *Test drive this must-see, must-drive, must-own beauty today at Mercedes Benz of El Dorado Hills, 1000 Mercedes Lane, El Dorado Hills, CA 95762. *Golden Rule*We are a Golden Rule company dedicating ourselves to world-class customer service in an environment of trust, dignity, and fun. George Grinzewitsch, CEO and Owner, Von Housen Automotive Group For more than 60 years, Von Housen Automotive Group has delivered high-end luxury vehicles to discerning clients throughout the greater Sacramento area, and is the place more people trust for quality, service, and a large selection of Mercedes-Benz vehicles. Von Housen Automotive Group operates three Mercedes-Benz dealerships in Northern California, including Mercedes-Benz of Sacramento, Mercedes-Benz of Rocklin and Mercedes-Benz of El Dorado Hills. The group also owns Mercedes-Benz Sprinter dealerships in both Rocklin and Sacramento. Mercedes-Benz of North America Von Housen Automotive Group has more than 300 dedicated employees and sells approximately $301,000,000 in new and used vehicles, parts and service annually. The team is also a leader in supporting community, philanthropic and non-profit initiatives. Stop by Mercedes-Benz of El Dorado Hills to experience a wide selection of Mercedes-Benz luxury cars, presented by Northern California’s leading team of sales advisors. Reach us online, or give us a call.Delivers 27 Highway MPG and 22 City MPG! This Mercedes-Benz GLC boasts a Intercooled Turbo Premium Unleaded I-4 2.0 L/121 engine powering this Automatic transmission. Window Grid Antenna, Wheels: 18 5-Spoke (R31), Valet Function. *This Mercedes-Benz GLC Comes Equipped with These Options *Urethane Gear Shift Knob, Turn-By-Turn Navigation Directions, Trunk/Hatch Auto-Latch, Trip Computer, Transmission: 9G-TRONIC 9-Speed Automatic -inc: DYNAMIC SELECT, Transmission w/TouchShift Sequential Shift Control w/Steering Wheel Controls, Tracker System, Towing Equipment -inc: Trailer Sway Control, Tires: P235/60R18 Run-Flat, Tire Specific Low Tire Pressure Warning. * Visit Us Today *Test drive this must-see, must-drive, must-own beauty today at Mercedes Benz of El Dorado Hills, 1000 Mercedes Lane, El Dorado Hills, CA 95762. *Golden Rule*We are a Golden Rule company dedicating ourselves to world-class customer service in an environment of trust, dignity, and fun. George Grinzewitsch, CEO and Owner, Von Housen Automotive Group For more than 60 years, Von Housen Automotive Group has delivered high-end luxury vehicles to discerning clients throughout the greater Sacramento area, and is the place more people trust for quality, service, and a large selection of Mercedes-Benz vehicles. Von Housen Automotive Group operates three Mercedes-Benz dealerships in Northern California, including Mercedes-Benz of Sacramento, Mercedes-Benz of Rocklin and Mercedes-Benz of El Dorado Hills. The group also owns Mercedes-Benz Sprinter dealerships in both Rocklin and Sacramento. Mercedes-Benz of North America Von Housen Automotive Group has more than 300 dedicated employees and sells approximately $301,000,000 in new and used vehicles, parts and service annually. The team is also a leader in supporting community, philanthropic and non-profit initiatives. Stop by Mercedes-Benz of El Dorado Hills to experience a wide selection of Mercedes-Benz luxury cars, presented by Northern California’s leading team of sales advisors. Reach us online, or give us a call. Scores 27 Highway MPG and 22 City MPG! This Mercedes-Benz GLC delivers a Intercooled Turbo Premium Unleaded I-4 2.0 L/121 engine powering this Automatic transmission. Window Grid Antenna, Wheels: 18 5-Spoke (R31), Valet Function. *This Mercedes-Benz GLC Comes Equipped with These Options *Urethane Gear Shift Knob, Turn-By-Turn Navigation Directions, Trunk/Hatch Auto-Latch, Trip Computer, Transmission: 9G-TRONIC 9-Speed Automatic -inc: DYNAMIC SELECT, Transmission w/TouchShift Sequential Shift Control w/Steering Wheel Controls, Tracker System, Towing Equipment -inc: Trailer Sway Control, Tires: P235/60R18 Run-Flat, Tire Specific Low Tire Pressure Warning. * Stop By Today *A short visit to Mercedes Benz of El Dorado Hills located at 1000 Mercedes Lane, El Dorado Hills, CA 95762 can get you a trustworthy GLC today! *Golden Rule*We are a Golden Rule company dedicating ourselves to world-class customer service in an environment of trust, dignity, and fun. George Grinzewitsch, CEO and Owner, Von Housen Automotive Group For more than 60 years, Von Housen Automotive Group has delivered high-end luxury vehicles to discerning clients throughout the greater Sacramento area, and is the place more people trust for quality, service, and a large selection of Mercedes-Benz vehicles. Von Housen Automotive Group operates three Mercedes-Benz dealerships in Northern California, including Mercedes-Benz of Sacramento, Mercedes-Benz of Rocklin and Mercedes-Benz of El Dorado Hills. The group also owns Mercedes-Benz Sprinter dealerships in both Rocklin and Sacramento. Mercedes-Benz of North America Von Housen Automotive Group has more than 300 dedicated employees and sells approximately $301,000,000 in new and used vehicles, parts and service annually. The team is also a leader in supporting community, philanthropic and non-profit initiatives. Stop by Mercedes-Benz of El Dorado Hills to experience a wide selection of Mercedes-Benz luxury cars, presented by Northern California’s leading team of sales advisors. Reach us online, or give us a call.Scores 27 Highway MPG and 22 City MPG! This Mercedes-Benz GLC delivers a Intercooled Turbo Premium Unleaded I-4 2.0 L/121 engine powering this Automatic transmission. Window Grid Antenna, Wheels: 18 5-Spoke (R31), Valet Function. *This Mercedes-Benz GLC Comes Equipped with These Options *Urethane Gear Shift Knob, Turn-By-Turn Navigation Directions, Trunk/Hatch Auto-Latch, Trip Computer, Transmission: 9G-TRONIC 9-Speed Automatic -inc: DYNAMIC SELECT, Transmission w/TouchShift Sequential Shift Control w/Steering Wheel Controls, Tracker System, Towing Equipment -inc: Trailer Sway Control, Tires: P235/60R18 Run-Flat, Tire Specific Low Tire Pressure Warning. * Stop By Today *A short visit to Mercedes Benz of El Dorado Hills located at 1000 Mercedes Lane, El Dorado Hills, CA 95762 can get you a trustworthy GLC today! *Golden Rule*We are a Golden Rule company dedicating ourselves to world-class customer service in an environment of trust, dignity, and fun. George Grinzewitsch, CEO and Owner, Von Housen Automotive Group For more than 60 years, Von Housen Automotive Group has delivered high-end luxury vehicles to discerning clients throughout the greater Sacramento area, and is the place more people trust for quality, service, and a large selection of Mercedes-Benz vehicles. Von Housen Automotive Group operates three Mercedes-Benz dealerships in Northern California, including Mercedes-Benz of Sacramento, Mercedes-Benz of Rocklin and Mercedes-Benz of El Dorado Hills. The group also owns Mercedes-Benz Sprinter dealerships in both Rocklin and Sacramento. Mercedes-Benz of North America Von Housen Automotive Group has more than 300 dedicated employees and sells approximately $301,000,000 in new and used vehicles, parts and service annually. The team is also a leader in supporting community, philanthropic and non-profit initiatives. Stop by Mercedes-Benz of El Dorado Hills to experience a wide selection of Mercedes-Benz luxury cars, presented by Northern California’s leading team of sales advisors. Reach us online, or give us a call. Scores 27 Highway MPG and 22 City MPG! This Mercedes-Benz GLC boasts a Intercooled Turbo Premium Unleaded I-4 2.0 L/121 engine powering this Automatic transmission. Window Grid Antenna, Wheels: 18 5-Spoke (R31), Valet Function. * This Mercedes-Benz GLC Features the Following Options *Urethane Gear Shift Knob, Turn-By-Turn Navigation Directions, Trunk/Hatch Auto-Latch, Trip Computer, Transmission: 9G-TRONIC 9-Speed Automatic -inc: DYNAMIC SELECT, Transmission w/TouchShift Sequential Shift Control w/Steering Wheel Controls, Tracker System, Towing Equipment -inc: Trailer Sway Control, Tires: P235/60R18 Run-Flat, Tire Specific Low Tire Pressure Warning. * Stop By Today *Stop by Mercedes Benz of El Dorado Hills located at 1000 Mercedes Lane, El Dorado Hills, CA 95762 for a quick visit and a great vehicle! *Golden Rule*We are a Golden Rule company dedicating ourselves to world-class customer service in an environment of trust, dignity, and fun. George Grinzewitsch, CEO and Owner, Von Housen Automotive Group For more than 60 years, Von Housen Automotive Group has delivered high-end luxury vehicles to discerning clients throughout the greater Sacramento area, and is the place more people trust for quality, service, and a large selection of Mercedes-Benz vehicles. Von Housen Automotive Group operates three Mercedes-Benz dealerships in Northern California, including Mercedes-Benz of Sacramento, Mercedes-Benz of Rocklin and Mercedes-Benz of El Dorado Hills. The group also owns Mercedes-Benz Sprinter dealerships in both Rocklin and Sacramento. Mercedes-Benz of North America Von Housen Automotive Group has more than 300 dedicated employees and sells approximately $301,000,000 in new and used vehicles, parts and service annually. The team is also a leader in supporting community, philanthropic and non-profit initiatives. Stop by Mercedes-Benz of El Dorado Hills to experience a wide selection of Mercedes-Benz luxury cars, presented by Northern California’s leading team of sales advisors. Reach us online, or give us a call.Scores 27 Highway MPG and 22 City MPG! This Mercedes-Benz GLC boasts a Intercooled Turbo Premium Unleaded I-4 2.0 L/121 engine powering this Automatic transmission. Window Grid Antenna, Wheels: 18 5-Spoke (R31), Valet Function. * This Mercedes-Benz GLC Features the Following Options *Urethane Gear Shift Knob, Turn-By-Turn Navigation Directions, Trunk/Hatch Auto-Latch, Trip Computer, Transmission: 9G-TRONIC 9-Speed Automatic -inc: DYNAMIC SELECT, Transmission w/TouchShift Sequential Shift Control w/Steering Wheel Controls, Tracker System, Towing Equipment -inc: Trailer Sway Control, Tires: P235/60R18 Run-Flat, Tire Specific Low Tire Pressure Warning. * Stop By Today *Stop by Mercedes Benz of El Dorado Hills located at 1000 Mercedes Lane, El Dorado Hills, CA 95762 for a quick visit and a great vehicle! *Golden Rule*We are a Golden Rule company dedicating ourselves to world-class customer service in an environment of trust, dignity, and fun. George Grinzewitsch, CEO and Owner, Von Housen Automotive Group For more than 60 years, Von Housen Automotive Group has delivered high-end luxury vehicles to discerning clients throughout the greater Sacramento area, and is the place more people trust for quality, service, and a large selection of Mercedes-Benz vehicles. Von Housen Automotive Group operates three Mercedes-Benz dealerships in Northern California, including Mercedes-Benz of Sacramento, Mercedes-Benz of Rocklin and Mercedes-Benz of El Dorado Hills. The group also owns Mercedes-Benz Sprinter dealerships in both Rocklin and Sacramento. Mercedes-Benz of North America Von Housen Automotive Group has more than 300 dedicated employees and sells approximately $301,000,000 in new and used vehicles, parts and service annually. The team is also a leader in supporting community, philanthropic and non-profit initiatives. Stop by Mercedes-Benz of El Dorado Hills to experience a wide selection of Mercedes-Benz luxury cars, presented by Northern California’s leading team of sales advisors. Reach us online, or give us a call. Boasts 27 Highway MPG and 22 City MPG! This Mercedes-Benz GLC delivers a Intercooled Turbo Premium Unleaded I-4 2.0 L/121 engine powering this Automatic transmission. Window Grid Antenna, Wheels: 18 5-Spoke (R31), Valet Function. * This Mercedes-Benz GLC Features the Following Options *Urethane Gear Shift Knob, Turn-By-Turn Navigation Directions, Trunk/Hatch Auto-Latch, Trip Computer, Transmission: 9G-TRONIC 9-Speed Automatic -inc: DYNAMIC SELECT, Transmission w/TouchShift Sequential Shift Control w/Steering Wheel Controls, Tracker System, Towing Equipment -inc: Trailer Sway Control, Tires: P235/60R18 Run-Flat, Tire Specific Low Tire Pressure Warning. * Stop By Today *Come in for a quick visit at Mercedes Benz of El Dorado Hills, 1000 Mercedes Lane, El Dorado Hills, CA 95762 to claim your Mercedes-Benz GLC! *Golden Rule*We are a Golden Rule company dedicating ourselves to world-class customer service in an environment of trust, dignity, and fun. George Grinzewitsch, CEO and Owner, Von Housen Automotive Group For more than 60 years, Von Housen Automotive Group has delivered high-end luxury vehicles to discerning clients throughout the greater Sacramento area, and is the place more people trust for quality, service, and a large selection of Mercedes-Benz vehicles. Von Housen Automotive Group operates three Mercedes-Benz dealerships in Northern California, including Mercedes-Benz of Sacramento, Mercedes-Benz of Rocklin and Mercedes-Benz of El Dorado Hills. The group also owns Mercedes-Benz Sprinter dealerships in both Rocklin and Sacramento. Mercedes-Benz of North America Von Housen Automotive Group has more than 300 dedicated employees and sells approximately $301,000,000 in new and used vehicles, parts and service annually. The team is also a leader in supporting community, philanthropic and non-profit initiatives. Stop by Mercedes-Benz of El Dorado Hills to experience a wide selection of Mercedes-Benz luxury cars, presented by Northern California’s leading team of sales advisors. Reach us online, or give us a call.Boasts 27 Highway MPG and 22 City MPG! This Mercedes-Benz GLC delivers a Intercooled Turbo Premium Unleaded I-4 2.0 L/121 engine powering this Automatic transmission. Window Grid Antenna, Wheels: 18 5-Spoke (R31), Valet Function. * This Mercedes-Benz GLC Features the Following Options *Urethane Gear Shift Knob, Turn-By-Turn Navigation Directions, Trunk/Hatch Auto-Latch, Trip Computer, Transmission: 9G-TRONIC 9-Speed Automatic -inc: DYNAMIC SELECT, Transmission w/TouchShift Sequential Shift Control w/Steering Wheel Controls, Tracker System, Towing Equipment -inc: Trailer Sway Control, Tires: P235/60R18 Run-Flat, Tire Specific Low Tire Pressure Warning. * Stop By Today *Come in for a quick visit at Mercedes Benz of El Dorado Hills, 1000 Mercedes Lane, El Dorado Hills, CA 95762 to claim your Mercedes-Benz GLC! *Golden Rule*We are a Golden Rule company dedicating ourselves to world-class customer service in an environment of trust, dignity, and fun. George Grinzewitsch, CEO and Owner, Von Housen Automotive Group For more than 60 years, Von Housen Automotive Group has delivered high-end luxury vehicles to discerning clients throughout the greater Sacramento area, and is the place more people trust for quality, service, and a large selection of Mercedes-Benz vehicles. Von Housen Automotive Group operates three Mercedes-Benz dealerships in Northern California, including Mercedes-Benz of Sacramento, Mercedes-Benz of Rocklin and Mercedes-Benz of El Dorado Hills. The group also owns Mercedes-Benz Sprinter dealerships in both Rocklin and Sacramento. Mercedes-Benz of North America Von Housen Automotive Group has more than 300 dedicated employees and sells approximately $301,000,000 in new and used vehicles, parts and service annually. The team is also a leader in supporting community, philanthropic and non-profit initiatives. Stop by Mercedes-Benz of El Dorado Hills to experience a wide selection of Mercedes-Benz luxury cars, presented by Northern California’s leading team of sales advisors. Reach us online, or give us a call. Scores 27 Highway MPG and 22 City MPG! This Mercedes-Benz GLC delivers a Intercooled Turbo Premium Unleaded I-4 2.0 L/121 engine powering this Automatic transmission. Window Grid Antenna, Wheels: 18 5-Spoke (R31), Valet Function. *This Mercedes-Benz GLC Comes Equipped with These Options *Urethane Gear Shift Knob, Turn-By-Turn Navigation Directions, Trunk/Hatch Auto-Latch, Trip Computer, Transmission: 9G-TRONIC 9-Speed Automatic -inc: DYNAMIC SELECT, Transmission w/TouchShift Sequential Shift Control w/Steering Wheel Controls, Tracker System, Towing Equipment -inc: Trailer Sway Control, Tires: P235/60R18 Run-Flat, Tire Specific Low Tire Pressure Warning. * Stop By Today *A short visit to Mercedes Benz of El Dorado Hills located at 1000 Mercedes Lane, El Dorado Hills, CA 95762 can get you a dependable GLC today! *Golden Rule*We are a Golden Rule company dedicating ourselves to world-class customer service in an environment of trust, dignity, and fun. George Grinzewitsch, CEO and Owner, Von Housen Automotive Group For more than 60 years, Von Housen Automotive Group has delivered high-end luxury vehicles to discerning clients throughout the greater Sacramento area, and is the place more people trust for quality, service, and a large selection of Mercedes-Benz vehicles. Von Housen Automotive Group operates three Mercedes-Benz dealerships in Northern California, including Mercedes-Benz of Sacramento, Mercedes-Benz of Rocklin and Mercedes-Benz of El Dorado Hills. The group also owns Mercedes-Benz Sprinter dealerships in both Rocklin and Sacramento. Mercedes-Benz of North America Von Housen Automotive Group has more than 300 dedicated employees and sells approximately $301,000,000 in new and used vehicles, parts and service annually. The team is also a leader in supporting community, philanthropic and non-profit initiatives. Stop by Mercedes-Benz of El Dorado Hills to experience a wide selection of Mercedes-Benz luxury cars, presented by Northern California’s leading team of sales advisors. Reach us online, or give us a call.Scores 27 Highway MPG and 22 City MPG! This Mercedes-Benz GLC delivers a Intercooled Turbo Premium Unleaded I-4 2.0 L/121 engine powering this Automatic transmission. Window Grid Antenna, Wheels: 18 5-Spoke (R31), Valet Function. *This Mercedes-Benz GLC Comes Equipped with These Options *Urethane Gear Shift Knob, Turn-By-Turn Navigation Directions, Trunk/Hatch Auto-Latch, Trip Computer, Transmission: 9G-TRONIC 9-Speed Automatic -inc: DYNAMIC SELECT, Transmission w/TouchShift Sequential Shift Control w/Steering Wheel Controls, Tracker System, Towing Equipment -inc: Trailer Sway Control, Tires: P235/60R18 Run-Flat, Tire Specific Low Tire Pressure Warning. 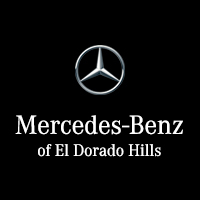 * Stop By Today *A short visit to Mercedes Benz of El Dorado Hills located at 1000 Mercedes Lane, El Dorado Hills, CA 95762 can get you a dependable GLC today! *Golden Rule*We are a Golden Rule company dedicating ourselves to world-class customer service in an environment of trust, dignity, and fun. George Grinzewitsch, CEO and Owner, Von Housen Automotive Group For more than 60 years, Von Housen Automotive Group has delivered high-end luxury vehicles to discerning clients throughout the greater Sacramento area, and is the place more people trust for quality, service, and a large selection of Mercedes-Benz vehicles. Von Housen Automotive Group operates three Mercedes-Benz dealerships in Northern California, including Mercedes-Benz of Sacramento, Mercedes-Benz of Rocklin and Mercedes-Benz of El Dorado Hills. The group also owns Mercedes-Benz Sprinter dealerships in both Rocklin and Sacramento. Mercedes-Benz of North America Von Housen Automotive Group has more than 300 dedicated employees and sells approximately $301,000,000 in new and used vehicles, parts and service annually. The team is also a leader in supporting community, philanthropic and non-profit initiatives. Stop by Mercedes-Benz of El Dorado Hills to experience a wide selection of Mercedes-Benz luxury cars, presented by Northern California’s leading team of sales advisors. Reach us online, or give us a call. Boasts 27 Highway MPG and 22 City MPG! This Mercedes-Benz GLC delivers a Intercooled Turbo Premium Unleaded I-4 2.0 L/121 engine powering this Automatic transmission. Window Grid Antenna, Wheels: 18 5-Spoke (R31), Valet Function. * This Mercedes-Benz GLC Features the Following Options *Urethane Gear Shift Knob, Turn-By-Turn Navigation Directions, Trunk/Hatch Auto-Latch, Trip Computer, Transmission: 9G-TRONIC 9-Speed Automatic -inc: DYNAMIC SELECT, Transmission w/TouchShift Sequential Shift Control w/Steering Wheel Controls, Tracker System, Towing Equipment -inc: Trailer Sway Control, Tires: P235/60R18 Run-Flat, Tire Specific Low Tire Pressure Warning. * Visit Us Today *Live a little- stop by Mercedes Benz of El Dorado Hills located at 1000 Mercedes Lane, El Dorado Hills, CA 95762 to make this car yours today! *Golden Rule*We are a Golden Rule company dedicating ourselves to world-class customer service in an environment of trust, dignity, and fun. George Grinzewitsch, CEO and Owner, Von Housen Automotive Group For more than 60 years, Von Housen Automotive Group has delivered high-end luxury vehicles to discerning clients throughout the greater Sacramento area, and is the place more people trust for quality, service, and a large selection of Mercedes-Benz vehicles. Von Housen Automotive Group operates three Mercedes-Benz dealerships in Northern California, including Mercedes-Benz of Sacramento, Mercedes-Benz of Rocklin and Mercedes-Benz of El Dorado Hills. The group also owns Mercedes-Benz Sprinter dealerships in both Rocklin and Sacramento. Mercedes-Benz of North America Von Housen Automotive Group has more than 300 dedicated employees and sells approximately $301,000,000 in new and used vehicles, parts and service annually. The team is also a leader in supporting community, philanthropic and non-profit initiatives. Stop by Mercedes-Benz of El Dorado Hills to experience a wide selection of Mercedes-Benz luxury cars, presented by Northern California’s leading team of sales advisors. Reach us online, or give us a call.Boasts 27 Highway MPG and 22 City MPG! This Mercedes-Benz GLC delivers a Intercooled Turbo Premium Unleaded I-4 2.0 L/121 engine powering this Automatic transmission. Window Grid Antenna, Wheels: 18 5-Spoke (R31), Valet Function. * This Mercedes-Benz GLC Features the Following Options *Urethane Gear Shift Knob, Turn-By-Turn Navigation Directions, Trunk/Hatch Auto-Latch, Trip Computer, Transmission: 9G-TRONIC 9-Speed Automatic -inc: DYNAMIC SELECT, Transmission w/TouchShift Sequential Shift Control w/Steering Wheel Controls, Tracker System, Towing Equipment -inc: Trailer Sway Control, Tires: P235/60R18 Run-Flat, Tire Specific Low Tire Pressure Warning. * Visit Us Today *Live a little- stop by Mercedes Benz of El Dorado Hills located at 1000 Mercedes Lane, El Dorado Hills, CA 95762 to make this car yours today! *Golden Rule*We are a Golden Rule company dedicating ourselves to world-class customer service in an environment of trust, dignity, and fun. George Grinzewitsch, CEO and Owner, Von Housen Automotive Group For more than 60 years, Von Housen Automotive Group has delivered high-end luxury vehicles to discerning clients throughout the greater Sacramento area, and is the place more people trust for quality, service, and a large selection of Mercedes-Benz vehicles. Von Housen Automotive Group operates three Mercedes-Benz dealerships in Northern California, including Mercedes-Benz of Sacramento, Mercedes-Benz of Rocklin and Mercedes-Benz of El Dorado Hills. The group also owns Mercedes-Benz Sprinter dealerships in both Rocklin and Sacramento. Mercedes-Benz of North America Von Housen Automotive Group has more than 300 dedicated employees and sells approximately $301,000,000 in new and used vehicles, parts and service annually. The team is also a leader in supporting community, philanthropic and non-profit initiatives. Stop by Mercedes-Benz of El Dorado Hills to experience a wide selection of Mercedes-Benz luxury cars, presented by Northern California’s leading team of sales advisors. Reach us online, or give us a call. Delivers 27 Highway MPG and 22 City MPG! This Mercedes-Benz GLC delivers a Intercooled Turbo Premium Unleaded I-4 2.0 L/121 engine powering this Automatic transmission. Window Grid Antenna, Wheels: 18 5-Spoke (R31), Valet Function. *This Mercedes-Benz GLC Comes Equipped with These Options *Urethane Gear Shift Knob, Turn-By-Turn Navigation Directions, Trunk/Hatch Auto-Latch, Trip Computer, Transmission: 9G-TRONIC 9-Speed Automatic -inc: DYNAMIC SELECT, Transmission w/TouchShift Sequential Shift Control w/Steering Wheel Controls, Tracker System, Towing Equipment -inc: Trailer Sway Control, Tires: P235/60R18 Run-Flat, Tire Specific Low Tire Pressure Warning. * Visit Us Today *Stop by Mercedes Benz of El Dorado Hills located at 1000 Mercedes Lane, El Dorado Hills, CA 95762 for a quick visit and a great vehicle! *Golden Rule*We are a Golden Rule company dedicating ourselves to world-class customer service in an environment of trust, dignity, and fun. George Grinzewitsch, CEO and Owner, Von Housen Automotive Group For more than 60 years, Von Housen Automotive Group has delivered high-end luxury vehicles to discerning clients throughout the greater Sacramento area, and is the place more people trust for quality, service, and a large selection of Mercedes-Benz vehicles. Von Housen Automotive Group operates three Mercedes-Benz dealerships in Northern California, including Mercedes-Benz of Sacramento, Mercedes-Benz of Rocklin and Mercedes-Benz of El Dorado Hills. The group also owns Mercedes-Benz Sprinter dealerships in both Rocklin and Sacramento. Mercedes-Benz of North America Von Housen Automotive Group has more than 300 dedicated employees and sells approximately $301,000,000 in new and used vehicles, parts and service annually. The team is also a leader in supporting community, philanthropic and non-profit initiatives. Stop by Mercedes-Benz of El Dorado Hills to experience a wide selection of Mercedes-Benz luxury cars, presented by Northern California’s leading team of sales advisors. Reach us online, or give us a call.Delivers 27 Highway MPG and 22 City MPG! This Mercedes-Benz GLC delivers a Intercooled Turbo Premium Unleaded I-4 2.0 L/121 engine powering this Automatic transmission. Window Grid Antenna, Wheels: 18 5-Spoke (R31), Valet Function. *This Mercedes-Benz GLC Comes Equipped with These Options *Urethane Gear Shift Knob, Turn-By-Turn Navigation Directions, Trunk/Hatch Auto-Latch, Trip Computer, Transmission: 9G-TRONIC 9-Speed Automatic -inc: DYNAMIC SELECT, Transmission w/TouchShift Sequential Shift Control w/Steering Wheel Controls, Tracker System, Towing Equipment -inc: Trailer Sway Control, Tires: P235/60R18 Run-Flat, Tire Specific Low Tire Pressure Warning. * Visit Us Today *Stop by Mercedes Benz of El Dorado Hills located at 1000 Mercedes Lane, El Dorado Hills, CA 95762 for a quick visit and a great vehicle! *Golden Rule*We are a Golden Rule company dedicating ourselves to world-class customer service in an environment of trust, dignity, and fun. George Grinzewitsch, CEO and Owner, Von Housen Automotive Group For more than 60 years, Von Housen Automotive Group has delivered high-end luxury vehicles to discerning clients throughout the greater Sacramento area, and is the place more people trust for quality, service, and a large selection of Mercedes-Benz vehicles. Von Housen Automotive Group operates three Mercedes-Benz dealerships in Northern California, including Mercedes-Benz of Sacramento, Mercedes-Benz of Rocklin and Mercedes-Benz of El Dorado Hills. The group also owns Mercedes-Benz Sprinter dealerships in both Rocklin and Sacramento. Mercedes-Benz of North America Von Housen Automotive Group has more than 300 dedicated employees and sells approximately $301,000,000 in new and used vehicles, parts and service annually. The team is also a leader in supporting community, philanthropic and non-profit initiatives. Stop by Mercedes-Benz of El Dorado Hills to experience a wide selection of Mercedes-Benz luxury cars, presented by Northern California’s leading team of sales advisors. Reach us online, or give us a call. Delivers 27 Highway MPG and 22 City MPG! This Mercedes-Benz GLC delivers a Intercooled Turbo Premium Unleaded I-4 2.0 L/121 engine powering this Automatic transmission. Window Grid Antenna, Wheels: 18 5-Spoke (R31), Valet Function. *This Mercedes-Benz GLC Comes Equipped with These Options *Urethane Gear Shift Knob, Turn-By-Turn Navigation Directions, Trunk/Hatch Auto-Latch, Trip Computer, Transmission: 9G-TRONIC 9-Speed Automatic -inc: DYNAMIC SELECT, Transmission w/TouchShift Sequential Shift Control w/Steering Wheel Controls, Tracker System, Towing Equipment -inc: Trailer Sway Control, Tires: P235/60R18 Run-Flat, Tire Specific Low Tire Pressure Warning. * Visit Us Today *You've earned this- stop by Mercedes Benz of El Dorado Hills located at 1000 Mercedes Lane, El Dorado Hills, CA 95762 to make this car yours today! *Golden Rule*We are a Golden Rule company dedicating ourselves to world-class customer service in an environment of trust, dignity, and fun. George Grinzewitsch, CEO and Owner, Von Housen Automotive Group For more than 60 years, Von Housen Automotive Group has delivered high-end luxury vehicles to discerning clients throughout the greater Sacramento area, and is the place more people trust for quality, service, and a large selection of Mercedes-Benz vehicles. Von Housen Automotive Group operates three Mercedes-Benz dealerships in Northern California, including Mercedes-Benz of Sacramento, Mercedes-Benz of Rocklin and Mercedes-Benz of El Dorado Hills. The group also owns Mercedes-Benz Sprinter dealerships in both Rocklin and Sacramento. Mercedes-Benz of North America Von Housen Automotive Group has more than 300 dedicated employees and sells approximately $301,000,000 in new and used vehicles, parts and service annually. The team is also a leader in supporting community, philanthropic and non-profit initiatives. Stop by Mercedes-Benz of El Dorado Hills to experience a wide selection of Mercedes-Benz luxury cars, presented by Northern California’s leading team of sales advisors. Reach us online, or give us a call.Delivers 27 Highway MPG and 22 City MPG! This Mercedes-Benz GLC delivers a Intercooled Turbo Premium Unleaded I-4 2.0 L/121 engine powering this Automatic transmission. Window Grid Antenna, Wheels: 18 5-Spoke (R31), Valet Function. *This Mercedes-Benz GLC Comes Equipped with These Options *Urethane Gear Shift Knob, Turn-By-Turn Navigation Directions, Trunk/Hatch Auto-Latch, Trip Computer, Transmission: 9G-TRONIC 9-Speed Automatic -inc: DYNAMIC SELECT, Transmission w/TouchShift Sequential Shift Control w/Steering Wheel Controls, Tracker System, Towing Equipment -inc: Trailer Sway Control, Tires: P235/60R18 Run-Flat, Tire Specific Low Tire Pressure Warning. * Visit Us Today *You've earned this- stop by Mercedes Benz of El Dorado Hills located at 1000 Mercedes Lane, El Dorado Hills, CA 95762 to make this car yours today! *Golden Rule*We are a Golden Rule company dedicating ourselves to world-class customer service in an environment of trust, dignity, and fun. George Grinzewitsch, CEO and Owner, Von Housen Automotive Group For more than 60 years, Von Housen Automotive Group has delivered high-end luxury vehicles to discerning clients throughout the greater Sacramento area, and is the place more people trust for quality, service, and a large selection of Mercedes-Benz vehicles. Von Housen Automotive Group operates three Mercedes-Benz dealerships in Northern California, including Mercedes-Benz of Sacramento, Mercedes-Benz of Rocklin and Mercedes-Benz of El Dorado Hills. The group also owns Mercedes-Benz Sprinter dealerships in both Rocklin and Sacramento. Mercedes-Benz of North America Von Housen Automotive Group has more than 300 dedicated employees and sells approximately $301,000,000 in new and used vehicles, parts and service annually. The team is also a leader in supporting community, philanthropic and non-profit initiatives. Stop by Mercedes-Benz of El Dorado Hills to experience a wide selection of Mercedes-Benz luxury cars, presented by Northern California’s leading team of sales advisors. Reach us online, or give us a call. Delivers 27 Highway MPG and 22 City MPG! This Mercedes-Benz GLC boasts a Intercooled Turbo Premium Unleaded I-4 2.0 L/121 engine powering this Automatic transmission. Window Grid Antenna, Wheels: 18 5-Spoke (R31), Valet Function. * This Mercedes-Benz GLC Features the Following Options *Urethane Gear Shift Knob, Turn-By-Turn Navigation Directions, Trunk/Hatch Auto-Latch, Trip Computer, Transmission: 9G-TRONIC 9-Speed Automatic -inc: DYNAMIC SELECT, Transmission w/TouchShift Sequential Shift Control w/Steering Wheel Controls, Tracker System, Towing Equipment -inc: Trailer Sway Control, Tires: P235/60R18 Run-Flat, Tire Specific Low Tire Pressure Warning. * Stop By Today *Come in for a quick visit at Mercedes Benz of El Dorado Hills, 1000 Mercedes Lane, El Dorado Hills, CA 95762 to claim your Mercedes-Benz GLC! *Golden Rule*We are a Golden Rule company dedicating ourselves to world-class customer service in an environment of trust, dignity, and fun. George Grinzewitsch, CEO and Owner, Von Housen Automotive Group For more than 60 years, Von Housen Automotive Group has delivered high-end luxury vehicles to discerning clients throughout the greater Sacramento area, and is the place more people trust for quality, service, and a large selection of Mercedes-Benz vehicles. Von Housen Automotive Group operates three Mercedes-Benz dealerships in Northern California, including Mercedes-Benz of Sacramento, Mercedes-Benz of Rocklin and Mercedes-Benz of El Dorado Hills. The group also owns Mercedes-Benz Sprinter dealerships in both Rocklin and Sacramento. Mercedes-Benz of North America Von Housen Automotive Group has more than 300 dedicated employees and sells approximately $301,000,000 in new and used vehicles, parts and service annually. The team is also a leader in supporting community, philanthropic and non-profit initiatives. Stop by Mercedes-Benz of El Dorado Hills to experience a wide selection of Mercedes-Benz luxury cars, presented by Northern California’s leading team of sales advisors. Reach us online, or give us a call.Delivers 27 Highway MPG and 22 City MPG! This Mercedes-Benz GLC boasts a Intercooled Turbo Premium Unleaded I-4 2.0 L/121 engine powering this Automatic transmission. Window Grid Antenna, Wheels: 18 5-Spoke (R31), Valet Function. * This Mercedes-Benz GLC Features the Following Options *Urethane Gear Shift Knob, Turn-By-Turn Navigation Directions, Trunk/Hatch Auto-Latch, Trip Computer, Transmission: 9G-TRONIC 9-Speed Automatic -inc: DYNAMIC SELECT, Transmission w/TouchShift Sequential Shift Control w/Steering Wheel Controls, Tracker System, Towing Equipment -inc: Trailer Sway Control, Tires: P235/60R18 Run-Flat, Tire Specific Low Tire Pressure Warning. * Stop By Today *Come in for a quick visit at Mercedes Benz of El Dorado Hills, 1000 Mercedes Lane, El Dorado Hills, CA 95762 to claim your Mercedes-Benz GLC! *Golden Rule*We are a Golden Rule company dedicating ourselves to world-class customer service in an environment of trust, dignity, and fun. George Grinzewitsch, CEO and Owner, Von Housen Automotive Group For more than 60 years, Von Housen Automotive Group has delivered high-end luxury vehicles to discerning clients throughout the greater Sacramento area, and is the place more people trust for quality, service, and a large selection of Mercedes-Benz vehicles. Von Housen Automotive Group operates three Mercedes-Benz dealerships in Northern California, including Mercedes-Benz of Sacramento, Mercedes-Benz of Rocklin and Mercedes-Benz of El Dorado Hills. The group also owns Mercedes-Benz Sprinter dealerships in both Rocklin and Sacramento. Mercedes-Benz of North America Von Housen Automotive Group has more than 300 dedicated employees and sells approximately $301,000,000 in new and used vehicles, parts and service annually. The team is also a leader in supporting community, philanthropic and non-profit initiatives. Stop by Mercedes-Benz of El Dorado Hills to experience a wide selection of Mercedes-Benz luxury cars, presented by Northern California’s leading team of sales advisors. Reach us online, or give us a call. Powered by a turbocharged 2.0L inline-four engine, the 2017 Mercedes-Benz GLC 300 makes 241 hp. Inside, you’ll get standard features like wood trim accents, power fornt seats, dual-zone automatic climate control, and an adaptable cargo area that lets you take full advantage of the space you have. You can find the GLC 300 now near Folsom and Rancho Cordova at Mercedes-Benz of El Dorado Hills, where you can get pre-approved for financing right now! While you’re here, be sure to check out our comparison between the Mercedes-Benz GLC and the Audi Q3.